3003 aluminum sheet is belong to 3000 series aluminum, which is also called as AL-MN alloy, the main allot element is Mn. 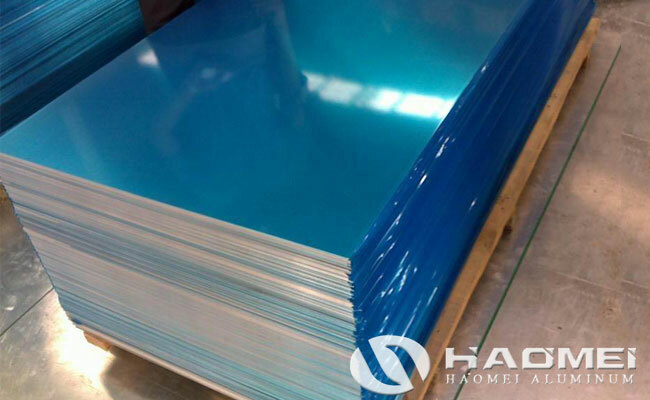 The aluminum sheet 3003 has good form-ability, very good corrosion resistance and weld-ability, and the most common used type is 3003 h14 aluminum sheet. The density of aluminium sheet 3003 is 0.00000272kg/mm3. From the aspect of mechanical properties, the 3003 aluminum sheet has a tensile strength of 120-160Rm/MPa, the elongation strength is higher than 85Rm/MPa. From the aspect of specifications, 3003 aluminum sheet is mainly based on thin plates, and the application of thick plates is basically limited. From the price point of view, 3003 aluminum sheet has prices slightly higher than pure aluminum. From the aspect of application, this 3003 aluminum sheet is often used in outer packaging, mechanical parts, refrigerators, air-conditioning ventilation ducts and other wet environments, the product has a good anti-rust capability. Aluminum sheet 3003 is commonly used for welding of ships, warships, vehicles, automotive and aircraft panels, pressure vessels requiring strict fire protection, cooling devices, television towers, drilling equipment, transportation equipment, missile components, armor, etc.